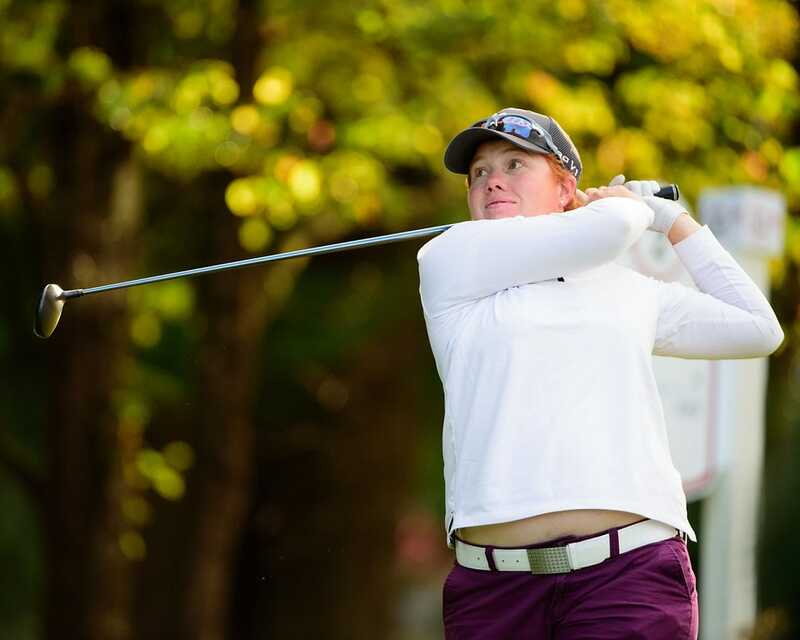 Felicity Johnson's confidence was soaring after firing a bogey-free 8-under 65 in the opening round of the ISPS Handa Vic Open on Thursday in Barwon Heads, Australia. "I'm going to sound a bit cocky, but it was really easy," the Englishwoman said after taking a two-stroke lead over Australia's Su Oh, Canada's Anne-Catherine Tanguay and American Kim Kaufman. "I hit 17 greens in regulation, birdied three of the par-5s, so there's kind of a couple of almost gimme birdies," Johnson said. Oh held the lead for most of the day after a hole-in-one at the 15th, acing the 150-yard par-3 with a 6-iron. "I came in having had a good year, then I had two months off so I've had enough rest," said the 22-year-old Oh. Johnson and Oh played on the par-73 Creek course at the 13th Beach Golf Links, where men and women are playing in alternate groups in a unique tournament format also sanctioned by the men's European Tour. Tanguay and Kaufman opened on the par-72 Beach course. Tanguay also completed a bogey-free round, while Kaufan birdied five out of six holes during a sizzling stretch on the front nine. Five others were three shots back and tied for fifth at 5-under entering Friday's second round, including American Alison Lee, Japan's Haru Nomura, Belgium's Manon De Roey, Germany's Olivia Cowan and South Korean amateur Yae Eun Hong. Defending champion Minjee Lee shot a 1-under 72 and seven-time major winner Karrie Webb shot 73, with both Australians playing the Creek layout. Ninety-six players were at even par or better after the opening round.